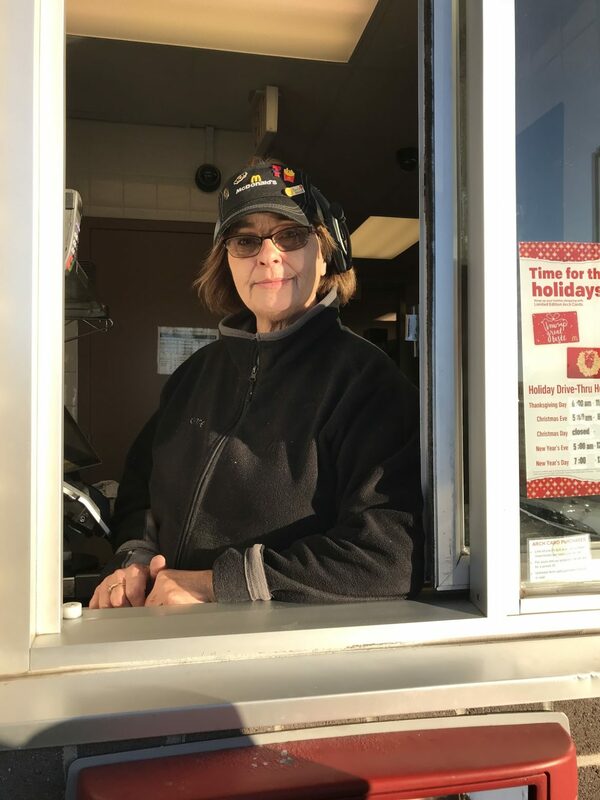 Shepard loves her job at the McDonald's drive-thru window, and strives to make her customers smile. Yvonne Shepard, 62, loves her job, and Grand Ledge loves her. Recently in the Grand Ledge Community Facebook group, a post was created in praise of Shepard and her positivity, singing and dancing and general happy demeanor, and that created a firestorm of comments commending and showering her with gratefulness. Shepard works the morning shift at McDonald’s in Grand Ledge from 5-9 a.m., making it a tough job to interact with early risers. Early mornings usually call for some grumpy people just wanting their coffee, but Shepard makes sure she keeps her positive, cheerful attitude with everyone she comes across. Shepard’s customers said they truly enjoy the few moments they spend with her in the morning. Positivity and a great attitude can change the way someone looks at their day. Shepard said she does what she can to start off all of her customer’s days with a smile. Shepard is an avid believer of positivity.